Ocwen corporation is a mortgage services company with its principle headquarters in Atlanta, Georgia. Ocwen has other locations in Washington, D.C., Orlando, Florida and West Palm Beach, Florida. While Ocwen does not provide new home mortgage loans but instead services existing both prime and subprime loans. It also provides asset management and special servicing. Ocwen is projected to become the single largest servicer of subprime loans after it closes its official purchase from Goldman Sachs of Litton Loan Servicing. The deal will make Ocwen the fourth largest mortgage servicer in the country behind American Home Servicing, Countrywide/Bank of America and Chase Home Finance. In 2010, Ocwen bought HomEq from Barclays Bank. Ocwen does not extend home loans but does provide servicing of residential and commercial mortgages. In particular, Ocwen services subprime loans. Its business model is based on “loss mitigation”. Meaning the company works with home owners to rework the loan rates and terms in order for the home owner to maintain possession of their property. Ocwen is one of the largest participants in the United States Treasury’s HAMP or Making Home Affordable Program. Ocwen’s success in loss mitigation is primarily based on previous successes. Rather than rely solely on credit files, Ocwen based its modification assessments on verified income statements instead of stated income. Ocwen has also had great success in converting trial mortgage modifications to permanent loan modifications. In addition to these factors, Ocwen utilizes some of the most sophisticated recruiting tools and practices. The loan servicing company is adept in hiring among the most qualified applicants. Ocwen routinely screens employees for particular personality traits. This increases the probably and realization of successful loss mitigation on an individual loan basis. In short, the company picks the most resourceful employees to help home owners stay current, thereby benefiting the original lender. Ocwen came into business in 1986. Ocwen initially bought underperforming assets, non-performing assets, which improved liquidation rates. Rather than allowing these assets to fail, other businesses sold off trouble companies or subsidiaries to Ocwen. Ocwen spun-off its REO or real estate owned department into a company called Altisource in 2009. Altisource concentrates on servicing real estate owned properties as well as like-related business activities. Though now separate entities, the two corporations maintain a close working relationship. 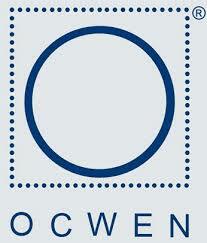 Ocwen’s services are based on many facets but one fundamental remains above the rest. The company believes that working with home owners rather than foreclosing provides two substantial benefits. The first is the stability of housing market values. The second is by keeping loans performing, original lenders are made whole, rather than taking a loss during and possibly after the foreclosure proceedings. Ocwen’s own estimates show successful loss mitigation on a case by case basis. Ocwen boost one of the highest loss mitigation programs in the United States. The loan servicing corporation credits its success rates to investment in both human and technological capital. By having fifteen service centers located around the world and reinvestment in human resources, Ocwen continues to grow. For lenders and home owners interested wanting to reduce losses and/or stay in their homes, Ocwen has a variety of programs to make such a goal a reality. To qualify, home owners and/or lenders may need to: order title rates, order title refinance or look at both 15 year mortgage rates and 30 year mortgage rates.